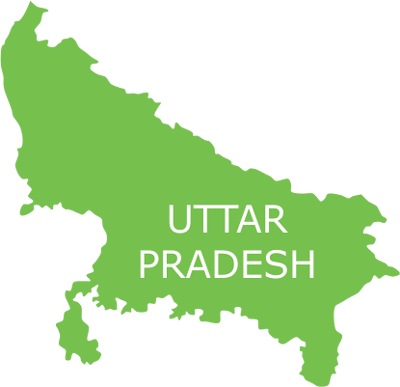 The rural inhabitants make up more than 77 percent of the total population, living different villages of Uttar Pradesh, the most populous state of India. Despite forming a major part of the state’s population, these rural areas face a dearth of health facilities. This dismal health situation is reflected in the Raebareli district of Uttar Pradesh. The grim health scenario is evident from the increasing infant and maternal mortality rate, poor sanitation, prevalence of chronic diseases, and non-availability of qualified medical staff. Lack of proper infrastructure for sub-centres and PHCs or CHCs is a major issue. The condition of the rural women is no less terrible. Young girls are married of early; as a result they bear children at an age when their bodies are not ready medically and physically. Thus, majority of the children suffer from malnutrition and many of them are not even able to celebrate their fifth birthday. In these gloomy circumstances, “Smile on Wheels” came as a ray of hope in the lives of the rural population of Rae Bareli. Smile Foundation in association with RECL launched Smile on Wheels for rendering primary health services in 10 villages of Block – Harchandpur, District – Raebareli (UP). The project is poised to benefit 18500 people directly every year by taking Smile on Wheels to the doorsteps of the villagers. The major aim was to provide mobile health services comprising of Daily OPDs, Lab tests, counselling sessions and awareness programs to the community. To begin with, Smile Foundation carried out a baseline survey in order to get a clear picture of the health condition in 15 villages of Harchandarpur Block of Rae Bareli district. Health and hygiene conditions in majority of the villages were found to be poor. Lack of proper drainage system, poor transportation system, unawareness among people were identified to be the major issues. The seasonal diseases were very common and only 40 percent of the population was immunized. In order to identify the major health problems, a baseline survey was conducted in 15 villages of Harchandpur block in Raebareli. Smile on Wheels unit, equipped with medical facilities was launched on 16th August 2013. A team of medical and para medical staff was recruited. Smile worked to build rapport with District Administration, District & Block level Health officials for better implementation of the project. Smile earned the support of community stakeholders like Anganwadi Workers, ASHA and ANMs. Daily mobile clinics, lab tests and ANCs were part of the healthcare programmes. During the reporting period, the disease pattern highlighted more than 19 prevalent diseases. The diseases were diagnosed through pathological lab tests and suitable treatment given to the identified beneficiaries. Health awareness activities and community meetings were conducted as part of the awareness programmes under the project.